It’s true! Google has purchased the online malware-scanning firm VirusTotal and is pledging to keep the service open to support security software vendors. This will likely be one of the biggest setback hackers ever experience. Google has officially entered the security field. Virustotal is one of the biggest online malware scanning websites and now it’s part of the Google family. 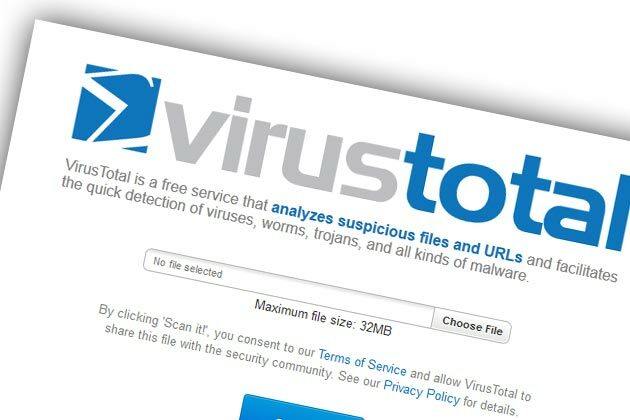 VirusTotal was set up in 2007 and uses over 40 different antivirus engines to scan files and URLs for malware for free. Users can upload small files to check, or just input a URL to see if it’s on a blacklist. VirusTotal shares its results with other security vendors to allow them to beef up their defenses. The computer security industry is unusual in that its members share some of its most valuable data malware signatures with competitors. This ensures that new malware is tramped down quickly and the rising tide of security raises all boats. Even Microsoft shares its data, so Google’s confirmation is a good sign for the industry. Google didn’t say how much it is spending to purchase VirusTotal, but it has pledged to continue sharing information from the service with other vendors. They have not said how they will be integrating the VirusTotal technology, but safer searching and better malware security for its Apps platform look the most likely bets.